Unions United in 2009, and Labor Union TV May 1, 2015. Haskell Wexler was a 25 year friend of mine (Bill Floyd). He wholeheartedly supported our LaborUnionTV.org project. We met several times on Labor Union matters. He strongly urged his own Cinematographers’ Union to limit hours to 12 per day, instead of the more common 20-24 hours. Today, preventable accidents happen because of Fatigue as a result of the inhuman schedules. WE WILL MISS YOU, HASKELL ! OBITUARY: Haskell Wexler, who passed away Sunday, Dec. 27, 2015 at age 93, earned the 2006 IDA Career Achievement Award not only for his exemplary artistry as a cinematographer and director, and importantly, for his unwavering commitment to social justice. He saw the power of documentary as a dynamic tool for change early on in his career. He made a film in the 1950s about the Civil Rights struggle in Tennessee, and his 1965 film The Bus documents the cross-country journey of a San Francisco delegation bound for the epochal March on Washington in August 1963. 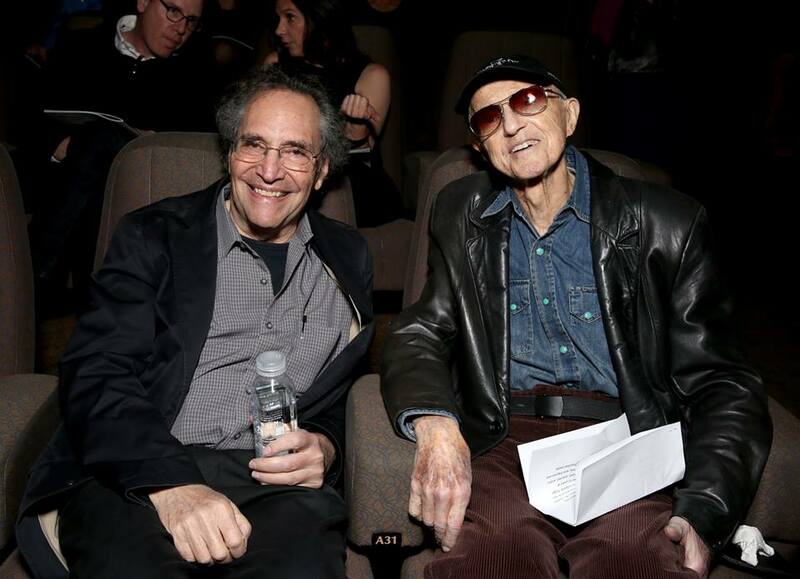 Wexler enlisted the services of two other legends, Albert & David Maysles, to shoot part of The Bus. Maysles Brothers would later return the favor by employing him on Salesman and other films. Indeed, he followed his passion to Vietnam in the heat of the War to make, first, the Oscar-winning doc short Interview with My Lai Veterans (1970), with Richard Pearce, then, with Jane Fonda and Tom Hayden, Introduction to the Enemy (1974); to Brazil (Brazil: A Report on Torture, 1971); Chile (Conversation with Allende, 1971); and Nicaragua (Target Nicaragua: Inside a Covert War, 1983). Here in the US, he took on the public transportation system in Los Angeles (Bus Riders Union, with Johanna Demetrakas, 1999) and even his own industry and the long working hours that it demands (Who Needs Sleep?, with Lisa Leeman, 2006). Goodbye, Haskell Wexler. You were a true artist, a fierce fighter and a committed mentor and friend to so many. Thank you for your inspiration.